ASK TONY: Why is Halifax making it so hard for me to close my late wife’s ISAs? My wife invested £50,000 in cash Isas with Halifax, which matured on April 25, 2018. When she couldn’t get to the branch because of illness, I wrote saying that she did not wish the money to be reinvested and it should instead be paid into our joint savings account. The bank did not reply. Sadly, she died on May 9. 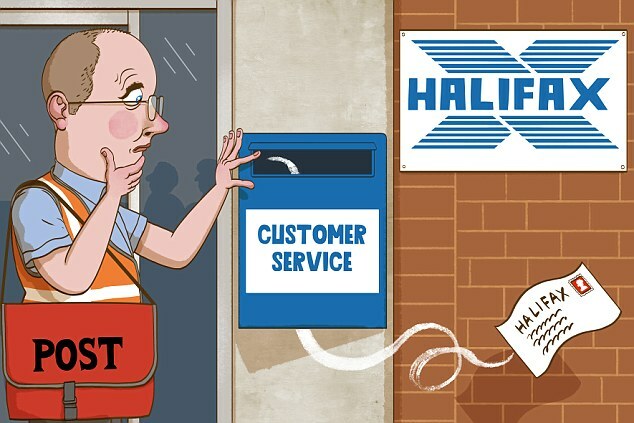 Now, Halifax says it has no record of receiving my letter. Halifax demands probate on sums over £50,000. It advised me that the balance was £54,065, although the funeral expenses could be paid out of this, which should bring it below the £50,000 threshold. Following her funeral, I took invoices amounting to £4,432 to my branch and they contacted head office. I was shocked to discover that if the funeral director had provided the flowers and catering on one invoice, it could be offset against the balance — but the three separate invoices could not. As the funeral director’s invoice was £3,954, the account remained at £50,111 and I am having to pursue probate, which is costing me £215. I feel let down by Halifax. There was a time when writing a letter was guaranteed to get attention. Now, it seems more likely to be ignored or lost. That’s why, whenever I send an important letter, I always opt for ‘signed for’ postage, so I have proof it has been received. With Royal Mail, this costs £1.68 for a small letter sent second-class and £1.89 for a large one. Halifax has checked again and can still find no trace of your letter. It also confirms that only the funeral invoice can be paid directly from the estate. After you provided the grant of probate, which named you as executor, the account was closed and the funds transferred to you. However, Halifax agreed that its internal procedure relating to the payment of funeral expenses needed to be clarified. It has therefore updated its internal guidance and reissued this to ensure others are not misled as you were. It has also reimbursed the probate cost and added £200 for the distress and inconvenience you have suffered. If someone had an investment company called SawYouComing, you’d be mad to invest. Likewise, why would anyone believe they’d receive a return of 24 per cent a year? If it looks and sounds too good to be true, then it usually is. It’s the easiest thing in the world for a good conman to relieve greedy people of their money. When will investors realise there’s no such thing as a free lunch — or huge returns on their cash? Greed can ruin many. This kind of crime is no better than a common mugging. Not all high-risk investments that go wrong are frauds. Sometimes, businesses fail and people have to take responsibility for their own investments. I know someone who lived in Spain and lost an eye-watering amount on a similar scheme based in Costa Rica. Even savvy people can be stung by conmen. W. S., New Forest, Hants. I feel very sympathetic towards these poor people. They were like lambs to the slaughter. I received a letter from SSE informing me it has taken over my gas and electricity supply from Scottish Power — this was without my authorisation or agreement. I have a fixed tariff with Scottish Power until April 30, 2019. Scottish Power sent me a final statement showing I am in credit for £111.84 on electricity and £58.31 for gas. I phoned Scottish Power to ask for the refund and it refused to action this until SSE transfers my supply back to it. This matter has caused me untold stress and, as I am a cancer sufferer, just adds to the strain of everything. I don’t think we can hold Scottish Power to account here, as it was SSE that took your account. SSE has looked into the issue and agrees you experienced an ‘erroneous transfer’. This is where another customer applied to switch to SSE and accidentally provided an incorrect address, which happened to be yours. This can sometimes happen if a company is provided with a wrong house number or postcode. SSE says: ‘As an energy supplier, we can only act upon information provided to us by a customer and so made arrangements for this property to be switched from Scottish Power to SSE in line with the details provided. ‘As soon as we were made aware that the customer had provided us with the wrong address, we took steps to resolve the issue. Now your power is back where it should be, you should have no trouble getting a refund of your overpayments. My partner was turned down for a mobile phone contract as she hasn’t got a credit history. She’s taken out a specialist credit-building card, but it charges 50 per cent interest. How long must she use this before she’ll be accepted for a better one? there are no hard-and-fast rules. Rachel Springall, of Moneyfacts, recommends waiting at least three months before making another credit card application. If your partner has already applied for several in a short space of time, it’s better to wait six months. Keep an eye on her credit score with free services such as Noddle. My husband got a text saying he’d won £489,500 in a Samsung UK/Malaysia promo draw. He was given a unique code and asked to send his name, address and phone number to [email protected] to claim. What is this? This is a scam designed to steal your personal details and money. An online search reveals your husband is not the only one who has been targeted. One person who responded to the text says they were asked to pay a ‘non-resident tax’ for the prize to be released. Another says the con artist demanded a ‘courier fee’. Do not respond to the message. Report it to your provider and Action Fraud (0300 123 2040). I booked a car parking space at Manchester Airport through Ryanair and was quoted £61.82. But my PayPal statement said the airline had taken £73.82. Its customer services told me to contact the airport. To make it worse, I had to cancel my holiday and parking due to ill-health. A spokesman for Ryanair says it has investigated and refunded the full car parking charge.